The story: This shot was taken around 7 meters depth. 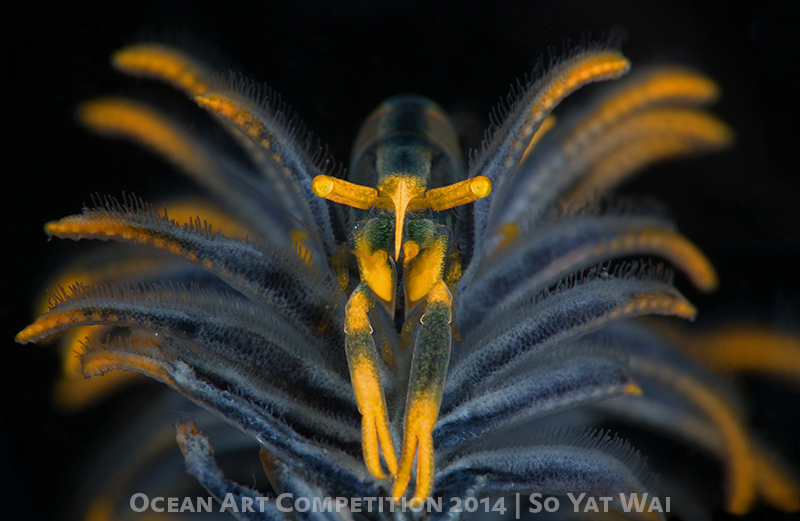 I had taken over 30 shoots of this crinoid shrimp and waited unit it climbed towards my camera. The current was not strong, but the surge in shallow water kept my housing moving. Therefore, it was difficult to get both eyes in focus and the subject with this posture. In addition, a good focus light was really helpful when focusing with my wet diopter.